This offering is for 1 of our Enfield No1 Bayonet Frogs. Like the ones pictured, all are in used condition with wear and various color shades. These have seen ample use and shrunk a bit with age and cleaning. We installed one the the pictured P1907 scabbard with some difficulty. 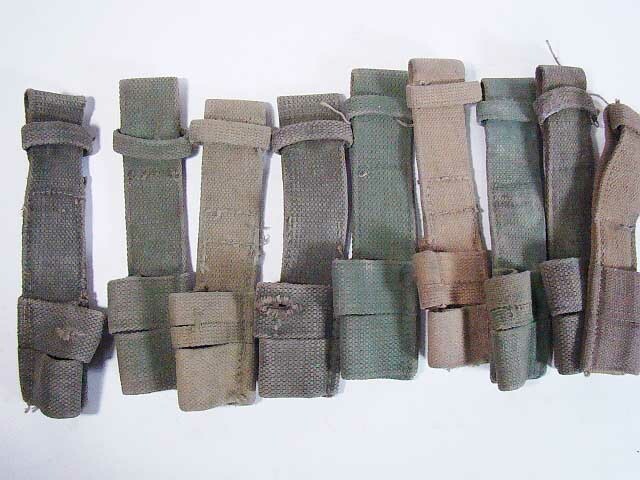 Original items that saw service the the Enfield No1 Mk3 Long P1907 bayonets and many continued into WW2 service and were modified with a small hole in the strap to also carry the No4 spike bayonets.